Church is the foundation of many families. This foundation allows the family to grow together spiritually and it allows the family to build an extended family with their church members. The church has revivals, retreats, concerts and picnics to strengthen these foundations between the families and the other members. 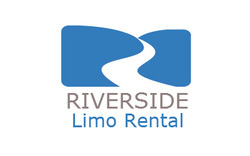 Riverside Limo Rental is able to provide the transportation to families that may be going to revivals that are in different cities or maybe it is the same city, different church, and the entire church family wants to travel together. VIP can provide chauffeur driven vans that will accommodate the entire church family. With us driving to the revival there will be no worrying about parking, traffic or lack of concentration for the driver due to the noise. We are aware that churches have concerts and sometimes churches from other states are invited to attend. Our limo service can pick up the church family from the airport and chauffeur them to the event or to the hotel to get cleaned up before the event. If your church members are wanting to go to the annual picnic or maybe the youth to vacation bible school and a majority of the members don't have proper transportation or families can't get them there because of conflicting schedules. Depending on how many people will need transportation, an SUV or bus can be reserved for that purpose. Our Chauffeurs are respectful and will see to it that all church members get to the destination safely and while listening to appropriate gospel music that can be synced with your phones. We serve all denominations, so you will feel welcome with any of our drivers. We look forward to helping your congregation get to their events which will continue to strengthen their foundation.